Professional coaching is one of the fastest growing industries in the world. Given that coaching in a formal manner is a fairly recent concept, this speaks volumes about the positive benefits it offers. As with any rapidly growing profession, there’s a lot of confusion and misinformation out there for anyone interested in starting a new profession or just wanting to learn a bit more. To help you get started on the right foot, we’ve taken a look at the facts behind eight popular coaching myths. With an estimated 57,000 coaches worldwide, coaching is a rapidly expanding profession that’s becoming increasingly popular as an alternative career for business leaders, specialists and entrepreneurs. Not only is coaching quickly growing, it’s proving successful. Some studies have shown that ROI can be has high as 50:1, and many individuals report a vastly improved quality of life after employing a professional coach. With clear, measurable successes, coaches are quickly becoming in demand. But as with any booming industry, misinformation and conjecture are rife, and myths are often propagated that hold people back from taking the leap into new pastures. To separate fact from fiction, we’ve put our debunking hats on and taken a look at eight popular coaching misconceptions. If you’re thinking of a career change into coaching, starting up a new sideline or simply want to learn more about a new burgeoning industry – take a look at our ongoing series for helpful articles, hints and ongoing discussions. The good news is anyone can be a coach, and there are few barriers to entering the field. Most professional coaches choose to be accredited with the Global Coaching and Mentoring Alliance (an alliance of professional bodies currently made up of the AC, the EMCC and the ICF) and there are a huge amount of fully accredited schemes that provide training without needing a degree under your belt (though more and more universities are introducing coaching courses if that’s your jam). But to achieve coaching excellence, this is just the start. Over 60% of coaches regard self-motivation as the most important factor to starting a coaching career. While you’ll need to be able to enjoy making your own decisions on where, when and how you work – most importantly, coaching takes a true desire to help others. Great coaches will demonstrate a commitment to regular supervision and continued personal development as well as possessing a distinct social and analytical skill set that can adapt to the needs of their clients. These are abilities that not everyone will possess automatically but they can certainly be developed. We won’t lie, to have a successful coaching business you will need to have a bit of business finesse. You’ll likely find that as much time as you spend on actual coaching you’ll need to spend on business activities; networking, marketing, managing your finances and learning and just being the face of your business. But no one starts out as an expert. We suspect if you’re interested in coaching you’re interested in learning; starting a business is probably far more simple then you expect, especially when you’ve got the right experts on side. 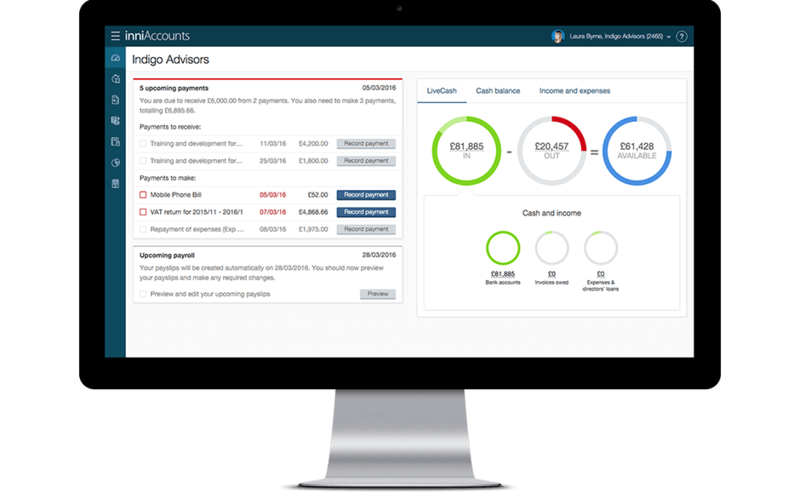 There are a great many tools and services, from expert advice through to software that helps automate your accounts and day to day management, to help you manage your business. Every thriving coaching practice, is a thriving business. We’re experts when it comes to going it alone – why not take a look at our Knowledge Hub for a host of specialist articles where you can learn more. Being a coach is as much about self-actualisation as aiding your clients. Every coach will have their bad days, become stuck and struggle to adapt to or bring about change. Many of the best coaches benefit from having a coach themselves and applying their industry techniques to their own day to day lives. And surely that’s better! You’re far more likely to be a great coach when you’ve had similar first-hand experiences to your clients. In some businesses, coaches will benefit from contextual knowledge. Coming from a prestigious background certainly lends a layer of credibility, many business leaders will expect their coaches to have experienced what it is like to work at their level. However, a coach that too closely mirrors the client may well share their blind spots and biases. Often, a new outside viewpoint can provide fresh thinking. While it’s always useful to be able to adapt and understand different industries, to be a successful coach what you most need to be an expert in is coaching. Personal coaching will focus on goals such as improved relationships, time management, work/life balance, building confidence etc. Business coaching will look at changing organisational practices, fuelling efficiency and building future leaders. However, at its heart coaching is about helping to bring about change and the truth is everything is often connected to everything else in our lives. In coaching upcoming leaders, aspects of their personal life may well play a huge part, similarly in life coaching how a client approaches work will have huge impacts. An effective coach focuses on their client’s strengths to help them achieve, regardless of their type of goals. 6. So, coaching is just therapy by another name? While there are psychological theories underpinning coaching, the key difference between coaching and therapy is that coaching does not seek to resolve deep underlying issues that are at the root of problems like poor motivation or low self-esteem. Coaching is more concerned with the practical issues of setting goals based on where the client is at the present moment, to help them move towards a result within a specific time-scale. Coaching is no longer synonymous with trying to support problem employees or unsuccessful people. A good coach isn’t there to fix anyone, but rather to help enable fine tuning to reach a more engaged and compelling future. In business, coaches are often used to develop employees with high potentials, facilitate transition or to act as a sounding board. Coaching is used to great success to improve business relationships, teamwork, job satisfaction and quality. Neither is life coaching solely prescribed to people who are struggling. There’s always room for improvement, and many highly successful people use coaches to facilitate change, take significant new steps or move towards a happier life. Richard Branson, Opreh Winfrey and Bill Clinton have all worked with coaches to help enable them to achieve extraordinary results. This harks back to our second myth. To be a successful coach, you need to be a successful business owner – and a crucial part of running your business will be managing your finances. You’ll need to ensure you maintain your accounts appropriately, submit information in a timely and accurate manner (and in the right format) and ensure you meet the company’s statutory and financial obligations. Preparing your accounts, bookkeeping, and dealing with HMRC all takes a significant amount time and many business owners choose to use accountants so they can concrete on what they do best isntead of worrying about the numbers. Specialist accountants with experience in your field will be able to work with you to ensure your company is working towards your personal business goals. You can find more information on how inniAccounts is especially suited to coaches here.